Delta eSourcing is a web-based service that provides suppliers the ability to respond to public sector contracts and opportunities from hundreds of public sector bodies, representing thousands of individual buyers. View, edit and publish your organisation’s Select Supplier Profile. Buyers search SID for profiles and invite suppliers to join their supplier lists, participate in a tender exercise or request for quotation or contact suppliers as part of any market-scoping exercise. View, manage and track your responses to SQs, ITTs and RFQs.  A cost-effective and simple to use service that will give you a competitive advantage over competitors through independent third-party accreditation. An unrivalled database of public and private sector contract opportunities and market intelligence, all customised to meet the unique requirements of your business. Want to Open up your Supply Chain? To find out more about how you can use the Delta eTendering solution or have your own bespoke portal with your company branding then please contact us to discuss your requirements.